I decided to go to Vienna on a whim. It had been one of the top cities in the back of my mind that I wanted to visit for quite a while. I'm almost ashamed to admit it, but most of my travel choices are based on things I've seen on telly or in films and when I saw the movie Woman in Gold I walked out of the cinema talking about how much I'd like to visit Vienna. Three years later, I booked the trip 2 weeks ahead of departure because I had a week free of my regularly scheduled dance lessons, my husband had holiday time and there was no reason not to go somewhere lovely. Since I didn't have a recommendation of where to stay, I checked a website I've used time and again without disappointment and booked our whole trip, flights and all through Secret Escapes. 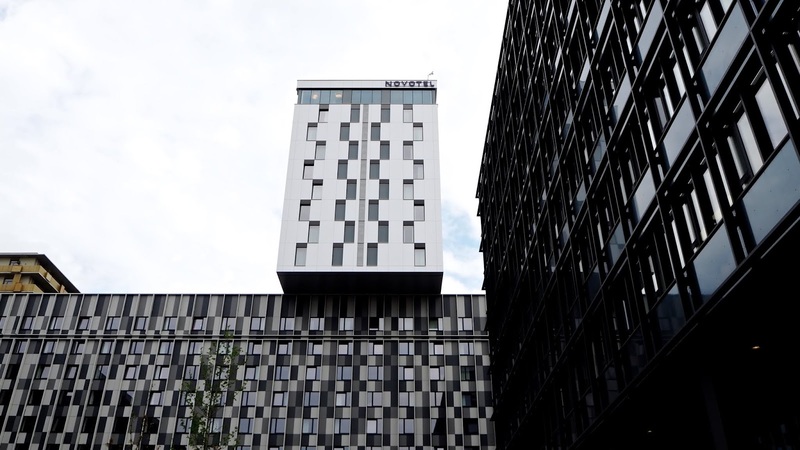 Secret Escapes vets its properties, so they generally measure up and the Novotel Hauptbahnhof was no exception. We had a wonderful stay there and I'd definitely book this lovely hotel again. 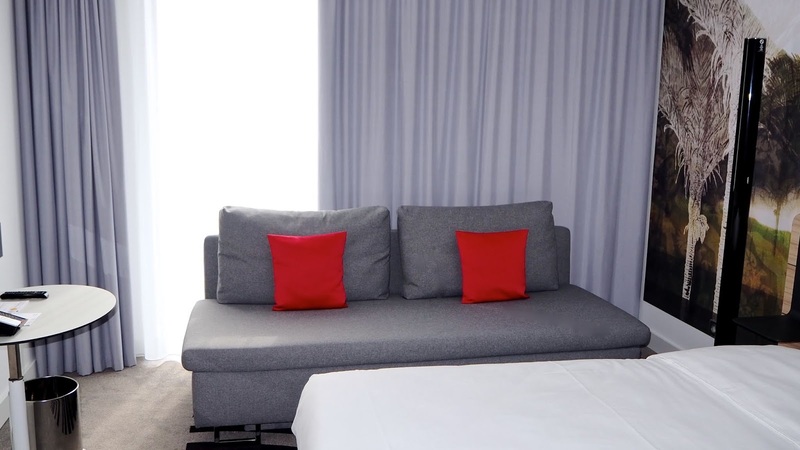 Situated just steps from the Wien Hauptbahnhof train station, getting to the hotel from the airport couldn't have been easier. We simply bought train tickets at the airport to the Hauptbahnhof and walked about 5 minutes from the train station to our cozy accommodation. This for me is important - there's nothing worse than getting off a flight, going through customs and immigration, collecting baggage from the drop and then facing a gruelling journey to the hotel. By staying near the train station, we landed, took a 15 minute train journey and less than an hour later, we were out and about, enjoying our first day in the City of Music. The location is also perfect for getting around the city with the train station nearby, but also you can take an Uber for roughly €5 to the city centre or if you're up for it, walking takes about 20 minutes to half an hour. 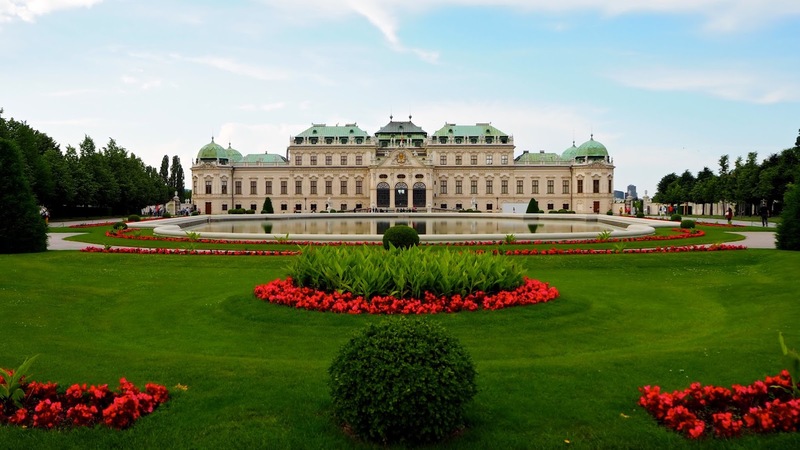 However you choose to travel, the location is perfect for enjoying all Vienna has to offer whether you're there for a few days or staying for an entire week. The first thing I noticed about the hotel when we arrived was an incredible amount of cozy, outdoor seating. Guests can enjoy drinks or snacks outside, sit in the sun with a good book or just enjoy the warm summer evenings sitting in a wooden swing after a lovely night on the town. It's a very nice touch! Inside the lobby area of the hotel, it's all very colourful. There's a bar and snack cafe called Flave where you can get drinks and nibbles throughout the day into the evening. Additionally there are loads of quirkily decorated communal seatings areas, some public computers and places to charge your phone. The hotel is quite corporate and perfect for business travel, but its lighthearted approach to decorating makes it great for a holiday too. One of my favourite things when I travel in Europe is breakfast. Many hotels offer breakfast that's included with the price of the room. 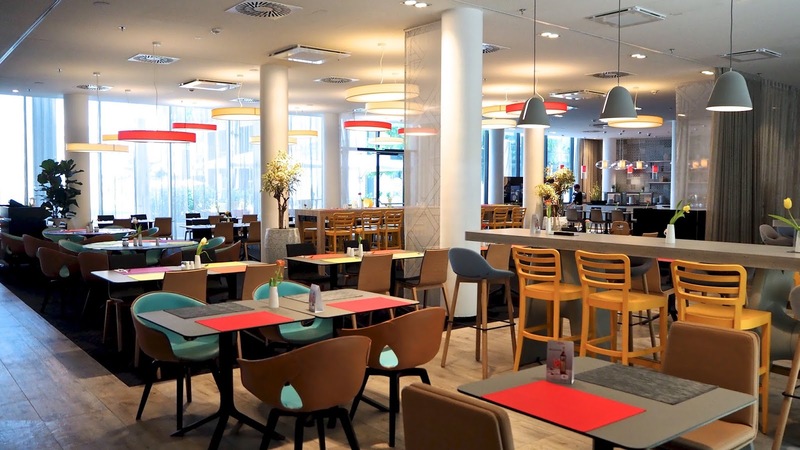 The Novotel Wien Hauptbahnhof offers one of the best breakfasts I've had with an extensive buffet set-up in a colourful space with loads of seating. 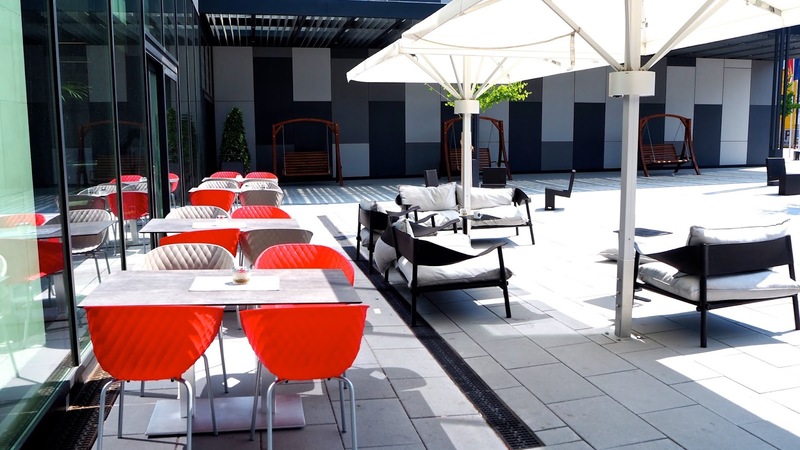 There's even outdoor seating you can enjoy if the weather is nice and some of the tables have outlets so you can charge your phone while you eat. 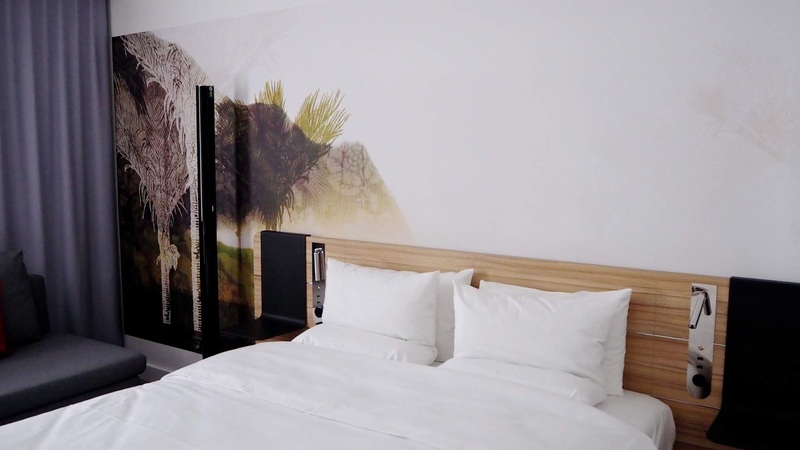 The rooms at the Novotel Wien Hauptbahnhof are absolutely lovely. Spacious and comfortable, our room had a nice big bed, a couch and a spacious enough bathroom. It was clean and well presented, though quite minimalist in design which I like when I'm travelling. We didn't watch any television while we were there, but there is a large screen TV in the room. Charging outlets for USB cables by the bedside are super convenient and there was plenty of wardrobe space. Additionally there's a fully stocked mini-bar including a refrigerator and everything you need for making coffee and tea in the room. We were very comfortable during our stay and the bed was an absolute dream after pounding the pavements sightseeing all day. It's also worth mentioning that the rooms are air-conditioned as it does get quite hot in Vienna during the summer. 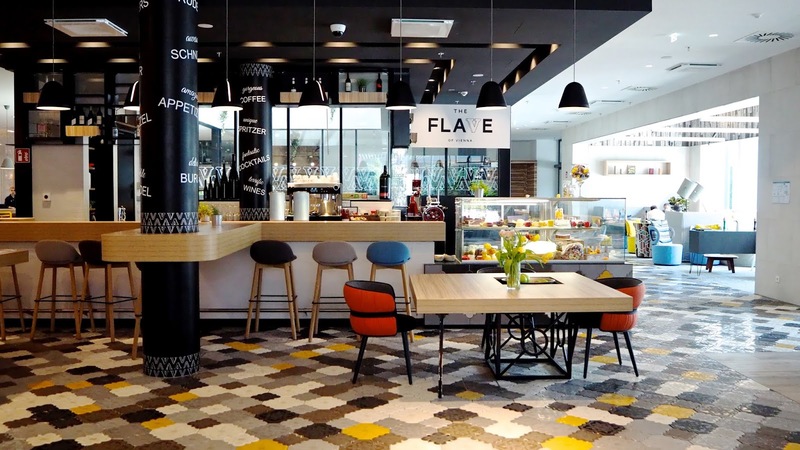 Though we weren't in Vienna long enough to take advantage of all the hotel's amenities, there are some additional benefits to enjoy at the Novotel Wien Hauptbahnhof. 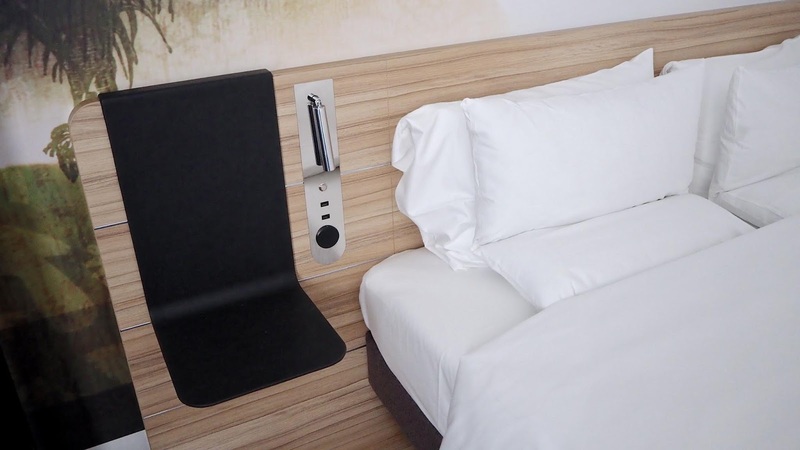 The hotel has a sauna and fitness centre, 24-hour check-in, free WiFi, dry cleaning & laundry services and self-parking is available. 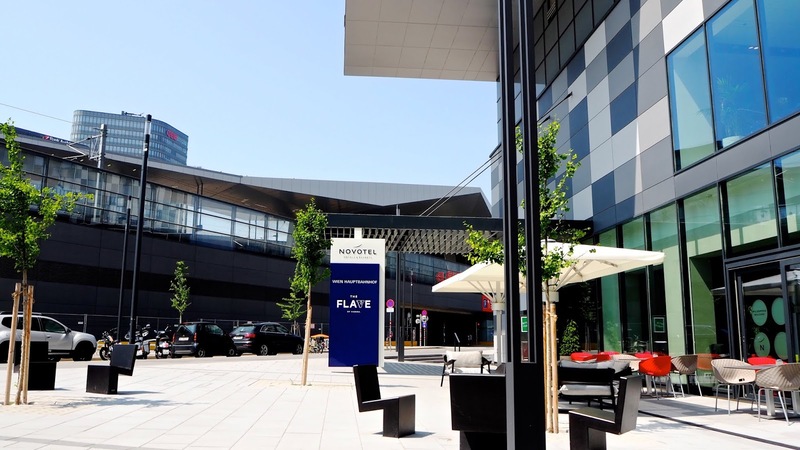 I would definitely recommend the Novotel Wien Hauptbanhof for anyone visiting Vienna. It's a fairly new hotel, built in 2017, so it's in great condition and very comfortable. It's not high luxury or super unique, but it offers more than enough for a great home away from home while visiting Vienna. For more information, click here to visit the hotel's website.